Research by Unite has revealed a fresh rise in bogus self-employment in the construction industry. A Freedom of Information request made by Unite to the HMRC revealed that 1,12 million construction workers were paid via the Construction Industry Scheme (CIS) in 2017/18. A four per cent increase on the figures for 2016/17. CIS is the stand alone tax scheme for the construction industry. Uniquely workers are classified as self-employed but they are taxed at source, the nature of their engagement means the vast majority are bogusly self-employed. The continuing year on year increase in the number of workers operating via the CIS scheme demonstrates that the government’s crack down on bogus self-employment has failed. Since 2014 there has been an 18 per cent increase in workers operating via CIS. Nearly half industry paid via CIS . In total an incredible 49 per cent of the industry’s 2.29 million workers were paid via CIS in 2017/18. Following the government’s reforms in 2014, the construction industry moved (almost overnight) to employ many workers via umbrella companies. The government estimated in 2015 that there were 260,000 workers paid in this manner. The principal winners from bogus self-employment are employers who avoid paying national insurance contributions (13.8 percent of a worker’s eligible earnings). The bogusly self-employed pay slightly lower levels of national insurance and are entitled to make an end of year tax return. The bogus self-employed are denied even the most basic employment rights such as holiday pay and can be dismissed at a moment’s notice without warning. Unite assistant general secretary Gail Cartmail said: “These latest figures are a damming indictment of the failure of the government to deal with rampant bogus self-employment in construction. “Bogus self-employment is costing the exchequer millions in lost revenues and amounts to a huge hidden subsidy to construction employers. “The government has clearly lost control of tackling bogus self-employment in construction, resulting in the routine exploitation of workers. 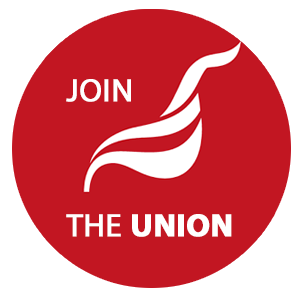 Unite has consistently called for radical employment reforms.